As electrical contractors in the Manchester area, have worked extensively on the electrical regeneration of council houses, breathing new life into homes across Manchester and the North West. Our team can supply all your needs when it comes to regeneration, we can cover all electrical aspects from the initial testing of a property to the final handing over of the completed installation. We specialise in rewiring/upgrading and installing new fitted kitchens, rewiring and upgrading bathrooms, and full house rewires. We have extensive experience in all aspects of regeneration, so whether a property needs a few minor adjustments to the electrics, or a full renewal of an entire house, our flexible workforce can get the job done to the highest standard. We can even provide our own labour for tasks such as plastering and tiling, joinery for fitting kitchens and even roofing works, which reduces the burden of a client having to juggle several trades at once. This is an excellent way of saving money from not having down-time whilst one trade is waiting for another to finish works. It can also significantly reduce administration time for the client, making the organisation of large projects simple and effective. Solargen Energy started out as a Domestic Solar Installation Company, fitting photovoltaics on people’s homes across Manchester and the North West. Due to our excellent customer service and first class installations, we soon gained the attention of housing associations looking for experienced contractors to install solar panels across large social housing contracts. We have worked with several housing associations to provide tenants with safe, green, renewable energy. All our panel fitters are highly trained solar installers, and also fully qualified electrical engineers – a combination of skills that puts us miles ahead of the average solar installation company. We have a more advanced technical understanding of how the systems work, and how they will affect the homes they are installed on. Our installations are tailored to suit the client – with the roof size, shape, and shading all taken into account to place the panels in the most profitable position possible. All standard domestic installations are completed within a 3 day period – the installation of the panels taking a day or less, and the erection/dismantling of the scaffold being done on the days either side of the electrical work. All our engineers have certification in safe working at height and safety harness training – safety is our priority when working in these hazardous environments. All installations are registered through the appropriate DNO, with MCS, NICEIC and Part P Certification supplied on handover. All our electricians are trained to the highest standard. We carefully select our employees to make sure that they are competent, reliable, hardworking and honest. We take great pride in what we do, and we ensure that all our employees take this work ethic with them to site. Our electricians are proud to bear the Solargen logo whilst they work. More and more housing associations are having periodic inspections done as part of their refurbishment contracts in order to determine the amount of remedial works required within their properties. They are also becoming wise to the fact that it pays to have an independent company doing these inspections, to stop ‘job building’ by the company carrying out the electrical installations. The savings made by doing this mean that more houses can be brought up to the Decent Homes Standard, whilst still remaining within budget. We are in partnership with a utilities company from whom we have received specialist training and authorisation to fit 100A DP Switches under their MOCOPA registration. The installation of 100a DP switches can be a problem for electrical contractors and housing associations alike, as only a small number of companies are authorised to fit these. Due to the high demand for authorised installers, the DP switches are often not fitted in time, causing regeneration programs to fall behind as electrical work cannot start without a safe means of Isolation. When a 100a isolator cannot be fitted, we also offer a de-energisation/ re-energisation service to properties. 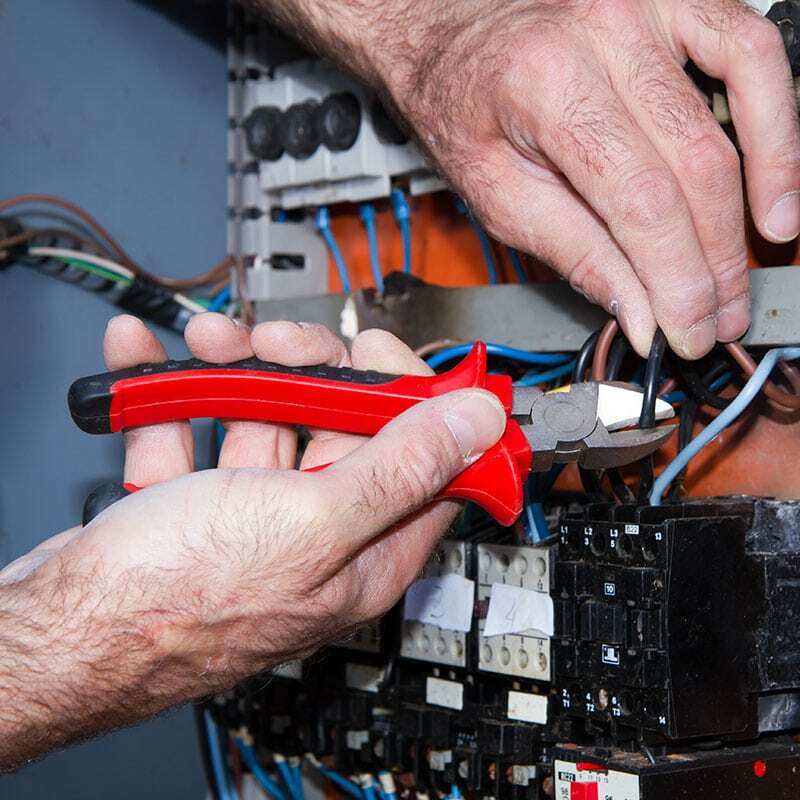 In this instance, in order to temporarily cut off the supply to enable safe working on the consumer unit, the electrician can remove the main fuses to isolate the supply, and then re-install the fuses at a later point in the day once the works have been completed.